“I read a book called ‘The Martyrdom of Man’ and I underlined a passage then which I came upon the other day. I think of it often because perhaps what is lacking today is the time just to sit and wonder. “The lines say what I feel and what I hope. It’s strange how much of an effect Vivien Leigh has had on my life. Vivien Leigh via Gone with the Wind opened my eyes and mind to an entire world of classic cinema that I would have otherwise never have given a chance. 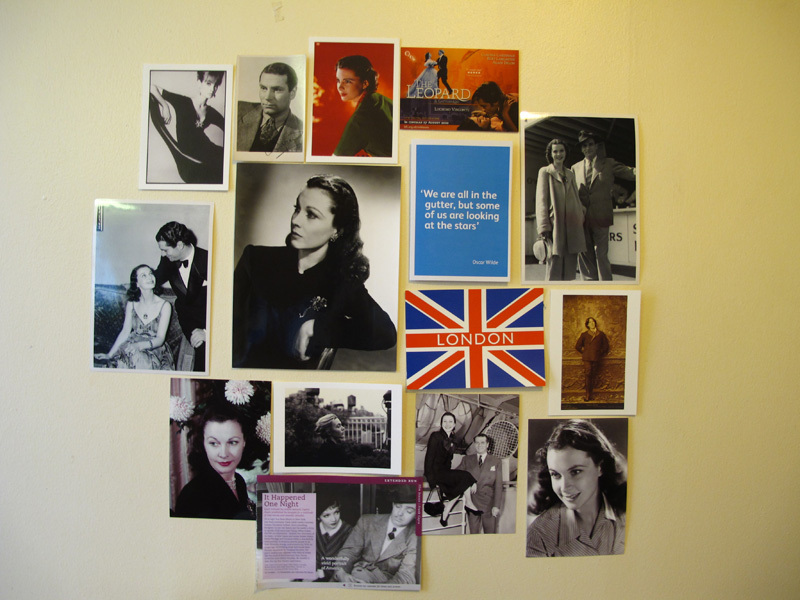 It is because of Vivien Leigh and a bit later Laurence Olivier that I started vivandlarry.com, and it is because of Vivien Leigh that I’m living in London right now getting my Master’s in Film and fulfilling a dream I’ve had for years. For me, Vivien is more than just a fascinating person. She had the courage and determination to set lofty goals and follow through with them despite opposition and disappointment. She was legit, she lived with her heart, and she followed her passions. That is so inspirational to me, and I know I’m not the only one who feels the same way. I’ve been lucky enough to meet some amazing fellow fans through this website (looking forward to meeting more at the Viv and Larry London meet-up in May), and I think it’s wonderful that she still touches generation after generation through her films and personal story. If Vivien Leigh were alive today, she’d be 97 years young, and I’m sure she’ be thrilled to know how much she is still loved by so many around the world. Despite the personal anguishes and illness that plagued her later life, and despite cinema not being her favorite mode of artistic expression, her films continue to be seen and loved long after her death. People still remember and praise her positive qualities: talent, beauty, and kindness. That’s a legacy not many famous people can claim. Happy birthday Vivlin, love and miss you! Kendra, what a lovely tribute with the white roses, you are so thoughtful! I feel the exact same way!….It is thanks to Vivien Leigh and Laurence Olivier that I truly gained an appreciation for classic films. I was only 14 when I first saw Gone With The Wind(and later, Wuthering Heights) and it changed the way I saw everything classic. In this aspect, I’m truly grateful to her. Since I was 11 she has been am absolute inspiration to me.